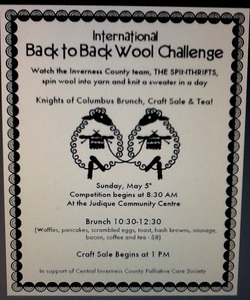 This Sunday in Judique on Cape Breton Island our own Spinthrifts will endeavour to beat their own time of 9 minutes 48 minutes and 10 seconds and create a sweater from fleece. Join us if you can....I'll be counting knitting rows! Well, if you're keeping an eye on events - the International Back to Back Challenge was won by a team in the Netherlands BUT our team were/are 2013 CANADIAN CHAMPIONS with a winning time of 8 hours 33 minutes and 9 seconds!!! 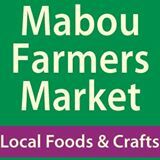 Every week we gather at the arena in Mabou Nova Scotia from 11 to 2 pm and it's a carnival of food, music, and of course crafts. I'm there with my old picnic basket over flowing with goodies. I frequently have a loom and am demonstrating how to weave. My checkerboard is waiting for someone to sit and play while enjoying the sites and sounds of the market....if you come by please let me know if I helped direct you there! !